Insignia Estates is a ±538 acre mix use master planned community located in Maricopa County and is within the influence of the greater Phoenix area real estate market. 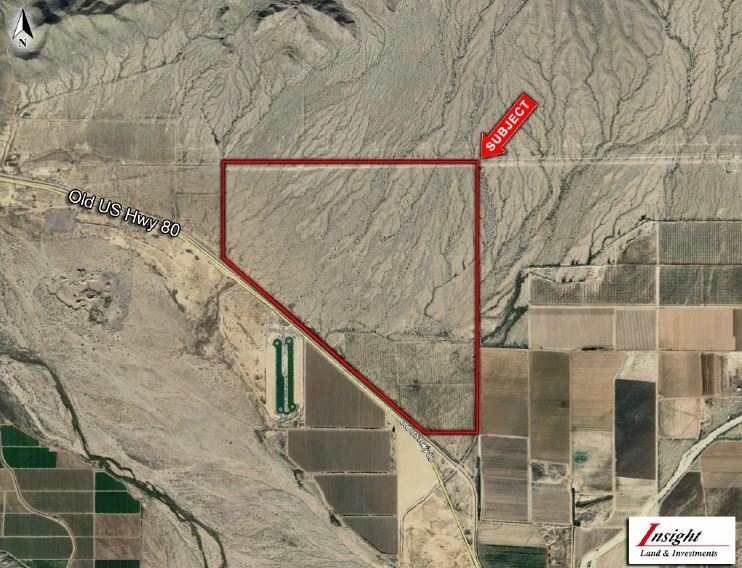 The site fronts Old Highway 80, and is strategically positioned near Hwy 85, which provides quick access to both Interstate 10 to the north and Interstate 8 to the south. Future plans for Hwy 85 include widening the road to create a four-lane divided highway along its entire length from Gila Bend to the I-10 interchange, putting the site a scant 45 minutes from downtown Phoenix. LOCATION: Site is located approximately one mile northwest of Patterson Road and Old Hwy 80. Access is via State Route 85.